Colleen Granger is taking part in a residency in northern France as part of BU's graduate exchange program with École supérieure d’arts et medias de Caen/Cherbourg. 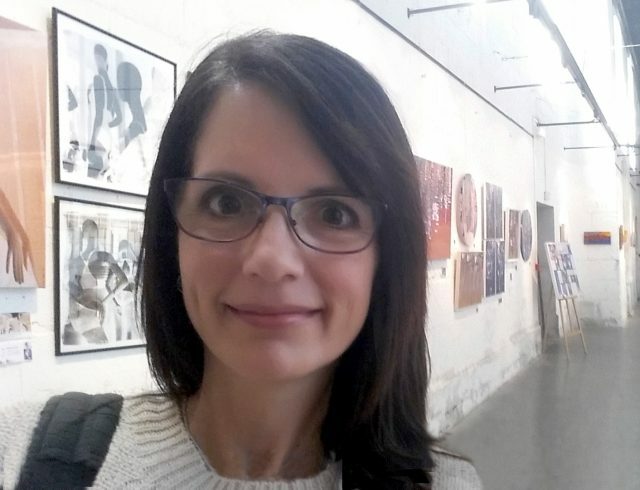 The Department of Visual and Aboriginal Art is delighted to celebrate Colleen Granger (Bachelor of Fine Arts, 2016, Honours Painting) as the first Brandon University (BU) participant in its graduate exchange program with the École supérieure d’arts et medias de Caen/Cherbourg in the Normandy region of France. Granger was selected from a group of BU Bachelor of Fine Arts graduates to participate in a visual artist residency from September to November 2017. She is spending the three months in northern France researching and producing her artwork. Granger’s residence continues an ongoing exchange program between the École supérieure d’arts et medias de Caen/Cherbourg and the Brandon University Department of Visual and Aboriginal Art program, in conjunction with sponsorship of the Manitoba Arts Council. This project brought French artist Adrien Lefebvre to Brandon in fall 2016, and the Department looks forward to once again hosting a French graduate to BU for a similar residency.